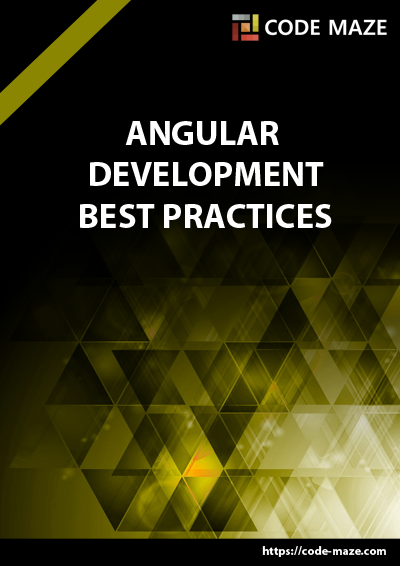 Angular is a modern framework for developing single page web applications. Angular is developed and backed by Google. Back in days creating the single page applications was a nightmare for developers. We had to manage everything from the state management to the HTTP calls. But those days are definitely gone. Creating a rich browser application is awesome but implementing the security is equally important if not even more. In this blog post, we are going to learn how we can implement authentication and authorization in Angular. We are going to see how we can securely transfer the user’s credentials from a browser to a server and vice versa. This part is the continuation of the previous part where we have briefly covered the JWT authentication backend side. In this part, we are going to consume that Web API in our Angular application. You can download the source code for the starting projects here and for the finished projects here. By default, you can’t send an AJAX request over HTTP to servers on a different origin due to browser’s security concerns. The HTTP protocol is not a secure protocol as it sends the requests in the plain text (at least HTTP v1 does) and anyone can potentially use a web proxy software to intercept modify the request. On the other hand, the HTTPS protocol is a secure way to transfer information and some browsers by default allow requests to cross-origin servers on HTTPS. We need to configure the server to receive cross-origin requests. By default, ASP.NET Core application will reject any request coming from the cross-origin clients. 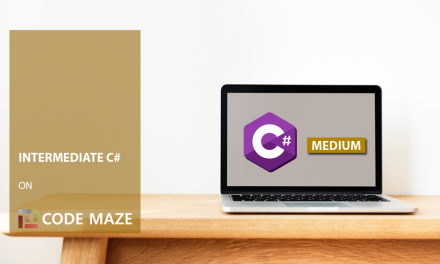 To enable CORS in .NET Core Web API, we need to implement a middleware in the Configure method of the Startup class. We can find out more about CORS and the additional options to configure it on this location: Enabling CORS in ASP.NET Core. At this point, the server is ready to listen to the cross-origin requests. 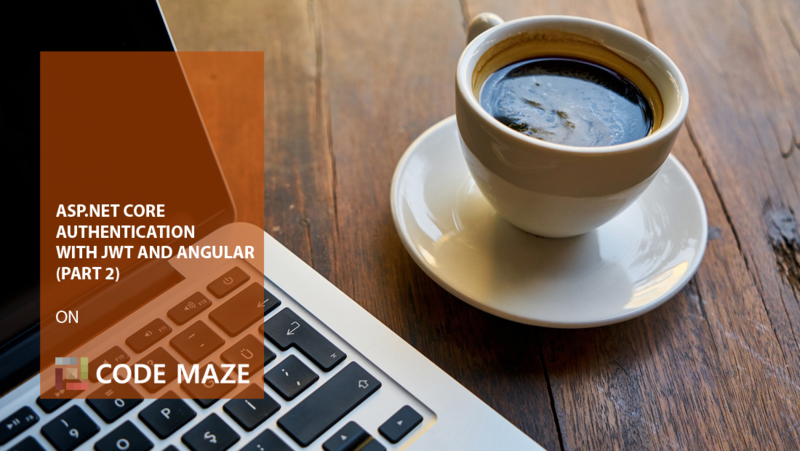 We have created the Angular starter application (available for download from here) which contains all the necessary code (basic Angular components, the routes, and basic form validation) we need for this post. With this project, it is going to be much easier for us to follow along with this post, because we can focus only on the parts important for the JWT authentication. To find out in detail how to work with Angular, visit our Angular Series. Let’s download the starter Angular application, so we could easily follow all the coding parts. To implement the login, we are going to create the login method in the LoginComponent. Inside the login method, we are going to collect the username and the password from the login form. When a user presses the login button, we are going to collect the user’s credentials with the Angular event binding. Once we have the credentials, we are going to send them to the server via the HTTP POST request to the login endpoint. The server is going to validate the data. If the username and password are valid, the server will issue a JSON web token and send it back to the browser. A valid username is “johndoe” and the valid password is “[email protected]“, as you can read in part 1 of the JWT series. 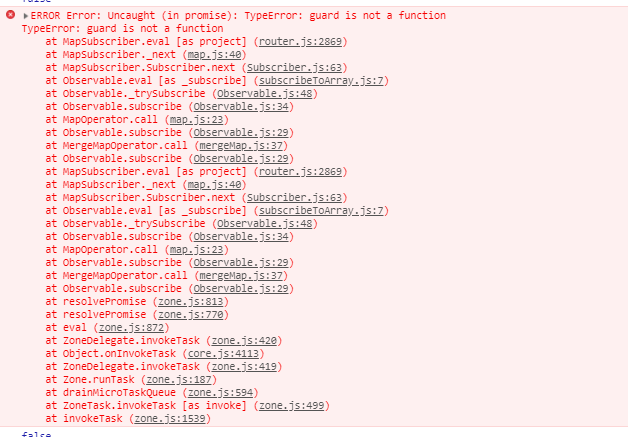 The Observable provides three callbacks for us to subscribe to while waiting for the response. The first callback is called when Observable receives a successful response. The second callback is called when there is an error. The third callback is called whether there is the response or an error, it’s a way of signaling that the request is completed. In the response callback, we get the token from the server and we save the token in the browser’s local storage. The browser’s local storage is a collection of the key-value pairs that browser stores per website. Once we have the token persisted in storage, we can use it for future calls to access the protected resources on the server. You can think of a token as a special identity card that you may use to access the secret resources in your organization. Implementing the logout function is very simple. It’s similar to losing the identity card. If we don’t have the card, we are not able to access the secretly protected resources. To log out the user, we are simply going to delete the token stored in the local storage which is the only key to access protected resources. If we don’t have the token, the server simply doesn’t know our identity and it’s going to reject our calls to the protected resources. To implement log out we are going to create the logout method in the HomeComponent. Inside the logout method, we are going to remove the token from the local storage and that’s all. To perform the log out action, we need to press the logout link on the Home page. At this point our logout functionality is complete. Protecting the Angular routes is the crucial part of implementing security in the Angular application. To protect the routes, Angular provides the CanActivate interface. This interface exposes the canActivate method which we can implement to provide a route guard. The canActivate method triggers before the Angular route activates, it acts as a guard to the Angular routes. Inside the canActivate method, we can write any custom logic to protect our routes. Inside the canActivate method, we are going to check if the token expired. To check the validity of a token, we are using the JwtHelper service. The JwtHelper service is defined in the angular2-jwt library which is a lightweight library that provides some helper services to easily work with JSON web tokens in Angular. Note: Our starter Angular app is created with Angular v4, but for the Angular v6+ applications please use the @auth0/angular-jwt instead of the angular2-jwt library. Now, we are going to apply the AuthGuard service to the CustomersComponent route in the AppModule. To apply the AuthGuard, we simply provide the service name in the CustomersComponent‘s route object by using thecanActivate attribute. The canActivate property in the Route object is an array. That means you can specify more than one services. To access the protected resources we need to send the JWT token in the Authorization header with each request. The server is going to verify the token and grant access to the protected resources. In our CustomerComponent, on the component initialization, we are going to send a request to the server to access a list of customers. In the code snippet above, we are sending an HTTP GET request to the endpoint http://localhost:5000/api/customers with the JSON web token in the Authorization header. If the token is invalid the server is going to reply with the 401 Unauthorized response. If the token is valid, then we are going to see a list of customers. Right now, we have a fully functional application (the backend and the frontend part) which uses the JWT features for the user authentication. But, because we have only the [Authorize] attribute on top of the Customers controller’s GET action, all the authenticated users have access to that endpoint. What if we don’t want this type of behavior? What if we want only Managers to have access to that endpoint? Well, to accomplish that, we need to make a couple of changes on our Web API part. In the changed parts of the code, we create claims by adding the username and the role claim to the Claim list. Now, our “johndoe” user is a Manager and it should have access to the Customer’s GET action. These claims are going to be included in our token. If we try to login with the Angular application, everything should work as before without any problems. All the JWT related logic is inside our Login method for the sake of simplicity. But we encourage you to create a new class (JwtConfigurator or use any other name) and transfer all the SymmetricSecurityKey, SigninCredentials, Claims and JWtSecurityToken logic to a new class. Awesome, our authorization part works like a charm. One more thing though. Let’s see how we can extract the data from the token on the client side. To login user in AngularStore save JWT in local storage. For any suggestion or question, don’t hesitate to comment below. If you have enjoyed reading this article and if you would like to receive the notifications about the freshly published Angular content we encourage you to subscribe to our blog. Hello Daemon. First of all thank you so much for reading our articles. I am sorry to see that you have a problem but let me try to help you. Your error states obvious: Your token must have 3 parts (Payload, Header and Signature). This is something that you provide on your server side. So your problem probably exists in the .NET Core part of this tutorial. My recommendation is to check your code form the part 1 of this tutorial. You can even place a break point in the Login action in AuthControler to check out what is your token result. The tokenOptions variable must have all the three mentioned parts in it (among many other properties). If you can’t find error, I advise you to upload your code and we will look at it and try to help you. Thank you for this great article, and the previous one. I’ve spent the weekend going them slowly and methodically and I’ve learnt a stack load. Thanks so much! I’m just wondering now, what is the appropriate way to refresh the token? So if i set the expiry to 5 min, and the user is active on my site, I wouldn’t really want him to have to log back in every 5 minutes. What is the best pattern to implement this? I guess I could implement a method in my auth service called renewToken or similar and call this behind the scenes somehow? Would this be a good pattern? Hello Bruce. Thank you very much for reading our articles and even more for your kind words. In auth servise, I have set one property shouldRefreshToken. Every action in my project (that should refresh a token would set this prop to true). I have also implemented one interval to check that prop in every 60 seconds. If prop value was true I would send a request to refresh a token. Of course you need to check if a token is expired prior to refreshing it, otherwise, there is no sense in refreshing it. To this day, this solution works like a charm. Thank you one more time and all the best. Thank you for this article. I’ve got one more question: How can I read the value of the http://schemas.microsoft.com/ws/2008/06/identity/claims/role claim in Angular? Hi, thank you very much for the articles. I’ve had pretty much the same setup and they helped me to clean it up. I’m trying to add social login (Facebook, Twitter…) using the ASP.NET Core Identity but I’m not able to make it work with my Angular app. 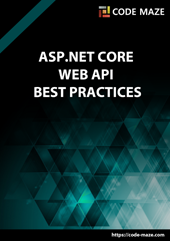 I’d love to know if it’s even possible because all documentation I read was using the built-in MVC of ASP.NET Core. If it’s possible I think it might make a nice article. Is there a solution to this that returns the login result to the calling component, in this case CustomerComponent? Hello Mark, thank you for reading these articles. You can use the Router in some kind of service to take your previous route and to just inject that service into the login component. Than you can check if there is previous route and navigate to it or to just navigate to the home. Or you can use a custom service to preserve the route you have come from and then just to inject that service and to navigate either to that cached route or to the home…. I believe there are other ways too, but those just came out of my mind right now. In Chrome this works like a chatm but in Firefox I geht this error :Cross-Origin Request Blocked: The Same Origin Policy disallows reading the remote resource at http://localhost:5000/API/Auth/login (Reason: CORS header ‘Access-Control-Allow-Origin’ missing). Why do it works in Chrome but not in Firefox etc.? Hello Ray. I am not really sure about that. We have tested it with Chrome. I have seen some answers in which they say that there is problem with old Firefox version and that it should be updated, have you tried that? Other than that, I am not quite sure why this happens, especially because we have enabled cors for any origin and any header. – Makes integrating JWT Bearer Token Security in your Asp Net Core 2.0+ app a breeze! – Also, Swagger UI integration! What is the best way to implement e-mail verification in .net core & Angular? how to create code for logout in server side (.net core side) ? Hello. Well I wouldn’t recommend that, because all you have to do is to remove your current token from a storage (whatever the storage is) and you are done. But if you want to do it on server side, you would probably have to mess with the token somehow and to return that token back to the user. But it seems like a complication to me. A little consideration: for Angular 6+ Applications you need to use @auth0/angular-jwt instead of angular2-jwt. Hope it helps! That is exactly why we created a starting project. You can never be sure with libraries and their versions 🙂 Thanks for your info, it means a lot. We are going to update this article. All the best. Oh cool! I was following your example while buiding an Angular7 App and I found this little thing. This article helped me a lot! I am so glad to hear that. And it is aa grea of you to sharing your knowledge with us. Thank you for that. Thanks for this article – found it really helpful. Would also like to see some implementation using IdentityServer, if possible, which also supports auth via OpenID. Thanks again. Thank you for reading this article. We are glad that you found useful information in it. Thank you for the suggestion as well. All the best.